Around the world, the night Obama was elected one could almost hear the collective relief that the U.S. had turned its back on eight years of reckless, destructive, and swaggering unilateralism, and was re-embracing the global community. He did a great thing for peace beating Bush and McCain. Whatever one thinks of Obama’s specific policies, he is a reform president committed to the improvement of people’s lives and to the renewal and reconstruction of America. In many ways, the election was a referendum on an extremist conservatism that has guided (and deformed) American politics and society since the 1980s. The sharp failures of the Bush administration and, perhaps most important, the shift in public views on the economy and the Iraq War led to a watershed moment—and a historic opportunity for a progressive governing agenda and a mandate for bold action. A year later, what’s clear is that we are a ways from building a new order and reshaping the ruling paradigm of American politics. That will take more than one election and will demand continued mobilization, strategic creativity, and, yes, audacity on the part of small-d democratic independent people, groups, activists, thinkers, organizers. The structural obstacles to change are real and, perhaps, growing. But we now have the political space to work. Whatever one thinks of Obama’s specific policies, he is a reform president committed to the improvement of people’s lives and to the renewal and reconstruction of America. Sure, his recovery plan was too small, too deferential to Republicans and tax cuts. But it has kept the economy from falling into the abyss and what is often overlooked, it represents more new net public investment in public education, anti-poverty programs than any program since the Great Society. We still desperately need a targeted jobs program. It is hopeful that Obama is beginning to use his presidential pulpit and brilliant oratorical skills to explain that at this time, when one of every six Americans is either unemployed or underemployed, what we need to fear is joblessness—not deficits. We also need action to alleviate the crisis of unemployment, so that Americans believe this president is on the side of working people. • More Daily Beast contributors on Obama’s election anniversaryThe president has spoken eloquently of a new and progressive role for government. He says the labor movement is the solution not the problem—and he’ll need to act on that by supporting quick passage of the Employee Free Choice Act later this year. His first pick for the Supreme Court, the first Latina justice, Sonia Sotomayor, was a strong choice (and his election saved us from a right-wing court for decades to come). He has rekindled the regulatory agencies in Washington—FDA, OSHA, FTC, the Antitrust Division, FCC, EPA, CPSC—and in doing so has, ironically, fueled a full-employment program for K Street lobbyists! He repealed the global gag rule, and restored integrity to scientific research and government programs. His quartet of speeches abroad—in Cairo, Prague, Moscow, and Accra—began to lay out an Obama doctrine in international affairs: support for a nuclear-free world; a belief that democracy is strengthened when a country’s people fight for their rights and liberties—not through U.S.-promotion or intervention from outside; the value of diplomacy and engagement; and the importance of outreach to the Muslim world. However, the military industrial complex Republican President Eisenhower warned of grows stronger. Obama just approved a bloated Defense budget, despite the rare cancellation of several costly weapons programs beloved by Congress that even the Pentagon didn’t want; the U.S. has some 700 far-flung U.S. bases, and there is an unwillingness to rethink skewed priorities in this arena. And then, of course, the fateful decision remains ahead: Afghanistan. Historians warn that wars kill reform presidencies. The most recent, and perhaps most relevant, example is how Vietnam destroyed Lyndon Johnson’s Great Society reforms. Obama is wisely taking his time to make a decision that is the most grave a president can make—committing women and men to battle. But he appears to have excluded the one option that makes most sense—a responsible exit strategy—and seems poised to escalate an unnecessary war in Afghanistan. If he commits additional forces to an occupation that is fueling an insurgency, he risks endangering his reform presidency and squandering funds needed to rebuild and renew this country. There are other disappointments. I am sure you have your list. But instead of playing the betrayal sweepstakes, I believe we’d be wiser to practice a progressive politics defined by realistic hope and pragmatism. That is, denouncing the Obama administration’s missteps or worse doesn’t get us far, it promotes despair, leaves no space for realistic hope for progressive change in many areas, and promotes exactly what our adversaries seek: our political disempowerment. We cannot afford that. These are times to avoid falling into either of two extremes—reflexively defensive or reflexively critical. Remember that throughout our history, it took large-scale organizing to win transformative change. There would be no civil-rights legislation without the movement, no New Deal without the unions and the unemployed councils. And we need to start playing inside and outside politics at the same time. Engage the administration and Congress constructively, even as we push (as with health-care reform) without apology for solutions at a scale necessary to deliver. This is in the interest of the Democratic Party—which rode the wave of a new coalition of African-Americans, Latinos, young people, women—and yes, the working class—because the party has been beaten down by conservative attacks and the natural impulse will be caution and hiding behind desks. At this one-year marker, it’s worth remembering that Obama is not the messiah, he doesn’t walk on water, though—as one pundit put it—he’s about as good a swimmer as we’ve seen in contemporary American politics. And while his personal ratings remain strong, every president, no matter how popular at the outset, has only so much political capital and must use it wisely and strategically. If one looks at our political history—as Mike Lux explains in his valuable book T he Progressive Revolution—every so often a window to change opens and the combination of crisis, leadership, and political movement makes big, positive reforms possible. That window is open right now, and Obama, to his credit, is trying (though sometimes only in a whisper) to keep it open to get reforms that will make our nation stronger, more just and secure. But if he gives up the fight for reform and caves too often to lobbyists—or either the congressional Democrats or the grassroots fails to deliver the support needed for real reform—then that window will slam shut and the next opportunity for reform might not come for another generation. 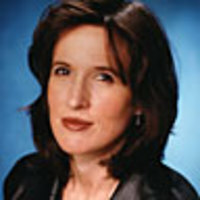 Katrina vanden Heuvel is The Nation's editor and publisher. She is the co-editor of Taking Back America—And Taking Down the Radical Right and editor of The Dictionary of Republicanisms.